The Irish government has approved the country’s long-awaited Renewable Electricity Support Scheme (RESS), with the first auction set to take place in 2019 after state aid approval has been secured from the European Union. Confirmed by minister for communications, climate action and environment Denis Naughten yesterday, further auctions are expected to take place at regular intervals throughout the lifetime of the scheme. The scheme will provide for a renewable electricity ambition of up to a maximum of 55% as part of EU-wide decarbonisation targets out to 2030. 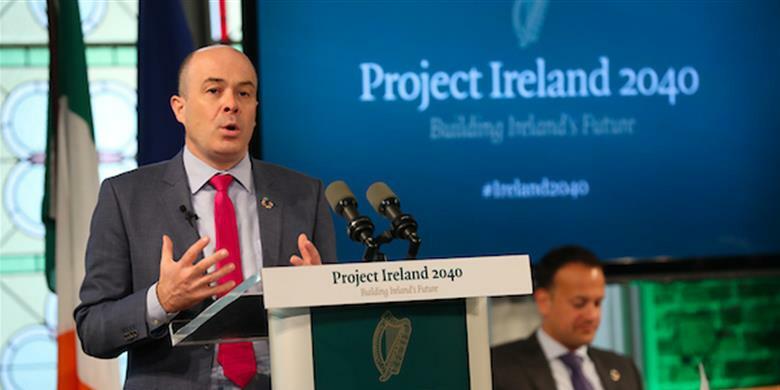 Up to 4.5GW of renewable capacity is expected to be procured by 2030, according to February’s Project Ireland 2040, which set out a national development plan for Ireland over the next decade. While it is framed around Ireland’s efforts to meet its 2020 renewable energy target of 40%, the country is expected to miss this binding goal and instead hopes merely to “close the gap” with the RESS scheme. Capacity levels will be set at each auction to ensure that falling technology costs are benefited from at each auction. The Department of Communications, Climate Action and Environment (DCCAE) says this will ensure the country is not locked in to higher costs for consumers by auctioning all its required capacity at once. The exact quantities will be based on the growth of electricity demand, the number of available projects in the pipeline and the targets set under the National Climate and Energy Plan, as well as the ability of renewables to compensate for other sectors such as heat and transport. Announcing the new scheme, Naughten said: “This scheme will mark a shift from guaranteed fixed prices for renewable generators to a more market-oriented mechanism (auctions) where the cost of support will be determined by competitive bidding between renewable generators. “The RESS is a critical step in bringing Ireland to a leadership role in relation to renewable energy, climate action, and energy efficiency. Communities are central to the design of the new scheme and this will have a transformative impact on renewable energy projects right across the country." Minister for communications, climate action and environment, Denis Naughten. While the 6GW+ of solar thought to be in Ireland’s pipeline will have to compete with other renewable generation technologies, solar could have an advantage in the upcoming auction owing to the conditions that will be applied. The first RESS auction will look to deliver ‘shovel ready’ projects to ensure that renewable capacity will be delivered at pace. The DCCAE told Current± that it will seek to support projects that can be built out and operational by the end of 2020. "In this regard, these projects will effectively have to have a grid connection offer and planning permission prior to entry into the first RESS auction." 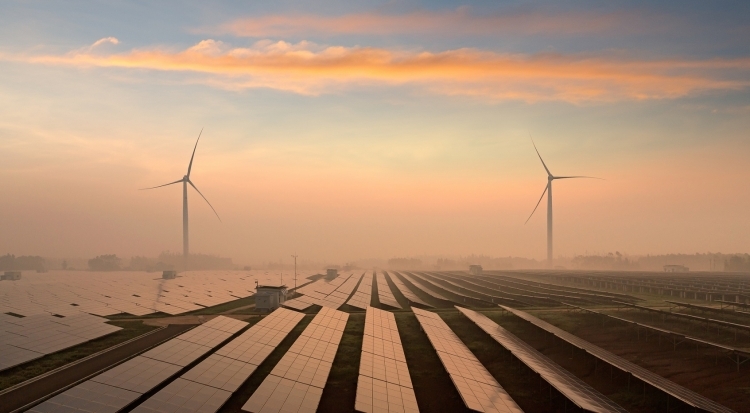 Speaking in January at Solar Finance and Investment Europe, an event organised by Solar Power Portal publisher Solar Media, chief executive of Amarenco John Mullins said he expected just 300MW of ‘shovel-ready’ projects with both a grid connection and planning permission will likely get built. In addition, projects to be supported by the government will need to provide opportunities for communities to approve, invest in and take ownership of a portion of renewable projects in their local area. A national register of community benefit payments will be established to deliver the benefits of this activity to communities. The RESS is also seeking to boost technology diversity across Ireland, and with almost no solar installed compared to the likes of wind – which had a record breaking year for onshore developments in 2017, installing 426MW – DCCAE may throw its support behind nascent technologies in the country. Naughten added: “While the auction approach will provide a route to market for multiple technologies, it will do so in a competitive, cost effective framework. The State Aid Notification process will now commence, with the DCCAE expecting this to take between six to nine months. The department added that the first auctionw ould take place "as early as possible in 2019" once this had been secured.